This week on ‘The Writing Life of:‘ I am thrilled to be interviewing author Kimberly Garvin. 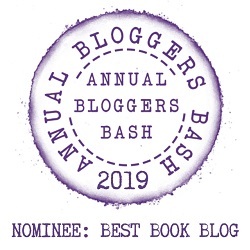 Kimberly will be sharing with us detail of her writing life, telling us all about her latest book ‘When Oliver Speaks‘, which was released on 26th July 2017, and answering a few fun questions too. Kimberly Garvin is a professional speaker and author, with a passion for engaging audiences, connecting people, and bringing out the best in those she encounters on a daily basis. Through her prolific speaking career, as well as her peerless gift for writing, Kimberly has touched thousands of lives, bringing confidence and wisdom to those who are exposed to her way of thinking. Kimberly holds a degree in mass communications from Fairleigh Dickinson University. When she is not on stage or at a book signing, Kimberly loves writing, reading and spending time with friends and family. She also appears regularly as a guest at special events and radio stations around the country. I realized I wanted to become a writer while writing. Maybe I was eight ?.. I could have been copying letters…maybe an original piece of literary genius…I don’t quite remember. But, what I remember for certain is the feeling I had…the feeling of pen in hand; the weight of it…and the control I had as I wrote each letter, each word, each sentence with purpose. Because that’s what did it for me…understanding that words.have.purpose. Well…initially I didn’t know how to go about following that dream. I don’t know that anyone [family] even knew, that I wrote let alone the life it gave me; so there was no one to navigate next steps….not even in college… I didn’t truly begin to follow my dream until about 7 years ago, when I was terminated from a teaching position. Typically my writing day begins at approximately 3:30am or so with no specific aim in mind as much has time…I write from about 3:30am-3:45am or so until 5:30am [when I need to walk my dog, Charlie Brown]. However, there are days when I write for with a specific aim in mind. Yes…I do. I use K. [first initial-first name Kimberly] and my father’s middle name [Edward] K. Edward when writing for adults. When I write as co-author alongside my son I use my full name… Kimberly Garvin. I typically write on the computer. There are times when I have scribed long hand…I think I mostly use longhand but for the most part I’m on the computer. I would have to say…panster. Although, I do have a very loose idea in my mind most times of what I am writing about…I just don’t and haven’t at all go through great lengths to outline and draft. I would much prefer the organic feel of fingers on keys…uninfluenced by strategic planning. …that’s what the editing process is for. Yes! I totally read all the reviews left for my book(s). I love them…and I have been fortunate enough to have never had to read a negative comment. Although…I do understand that my writing isn’t for everyone which makes receiving the negative that much more “essential” to my craft…as they (negative comments) always provide me with the room I may need to consider making adjustments to my writing and/or topics…as doing so may help to broaden my audience. A heartfelt story about a young boy who struggles to overcome his stutter while finding the courage to accept it, When Oliver Speaks, is the story of an underdog who learns to rise. The story comes from a place of personal experience in that co-author Saadiq is a person who stutters and has done so for as long as he could speak. About co-author Saadiq Wicks – Saadiq is 15 years old and the Founder and Director of Lllet Me Finish, a nonprofit dedicated to supporting young people who stutter that they may be successful in school and within their community. He is also a person who has stuttered for as long as he can remember talking. One of his goals-as he has many-is to raise international awareness about stuttering. He also wants to help both kids and adults who stutter to get to a place where they feel okay, better than okay, about their speech and even better about themselves. Maybe it took about 2 years…maybe less than that. We [my son, Saadiq] and I had the idea maybe in 2014 and we loosely wrote the story on a train ride into Manhattan. What I think held us up, if I could even say that…was the creative genius of our illustrator Anthony. He’d completed the project early enough and we were totally about to start shopping it and then he had the notion, unbeknownst to us, that Oliver…wasn’t his best work. Anthony went off the grid for months…and then resurfaced with the Oliver you see now. And, honestly…we [Saadiq, myself and our publishers] couldn’t be more happier. Hmmm… I’m not sure. I think we wanted a name that was smart. Kinda quirky. And for sure couldn’t be associated with one particular ethnicity. 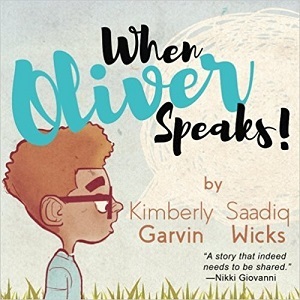 For sure…Oliver’s character is based on my son Saadiq’s life experiences, as Saadiq is a person who stutters. So for the most part the series [as there are other stories that we have written] is based on what it’s like to be a person who stutters. I don’t know that there was a hard scene to write as much as it was maybe difficult for Saadiq to remember what he use to do and how he felt when he spoke. And, honestly, that was probably what drove him to even consider making Oliver a series. He knows that kids struggle with speaking and being accepted and he just wanted to make something that they could relate to. Something that would give them courage. Something that would help support them. We were on the rain… and honestly we knew from the very beginning the book would center around the “speaking” we just needed a name for the character. Actually, we held a focus group at our local library. We invited our friends with kids but we didn’t tell them that the book was ours until mid way through the presentation. What was really cool, was having some uninvited guest attend. We actually solicited some folks that just happened to be in the library to come and listen to the story. We gave them a questionnaire at the end and even asked them to write a review that we could potentially use for promotions. It was really a cool experience. We didn’t even sit in on the reading…we waited outside. Sometimes…most times pacing. Talk about a process. There was a time when I thought finding an agent was more important that getting the book published. After several weeks of debating with myself which was more important I decided that I possessed the gift of gab and could pretty much be the mouthpiece for us [my son and I] and that what I really needed was someone to publish the book. As doing so on my own would have cost me about $30 per book…then what would I sell it for $50… Uh NOT! Who’s gonna purchase a children’s book for $50.00 so that was when I did my search for a publisher. I googled tons and tons and came across Indigo River. As soon as I saw them…I kinda new that’s where we would end. I said a prayer and reminded the Lord that HE said that he would be like “Rivers of living water…” and the rest is history. Probably went to the bathroom. As odd as that sounds when I get to what I would consider the final words to a book…I’m typically so focused that I don’t get up until I’m finished. I refuse to take a break or allow myself to distract myself. …so I’m pretty sure I used the bathroom. Next…I feel like I’m going to give another two years to this kid lane I’ve been in and then make the transition to adult. We have an Oliver book waiting…I think my son said 2019. You can find out more about Kimberly by visiting the website/social media sites below. I would like to say a big thank you to Kimberly Garvin for sharing with us details of her writing life, and for a wonderful interview. Wonderful interview. I also loved Judy Blume and Beverly Clearly books growing up! There’s something about trains. I’ve heard about several authors who have written great books while on the train. Great interview. A great insight into the authors life and some great questions. Thanks for putting this together . I love that they write together often enough that their author picture is of both of them. Fantastic review, as always. I love seeing how many authors use pseudonyms.